Sport is a lucrative market for inventors. But many of today’s inventions for sport simply improve what’s already there. The most notable inventions are those that have changed competitive games to make them popular and more fun. Edwin Beard Budding (1795-1846) was an English engineer who invented the lawn mower. He came up with the idea when he saw a cutting cylinder in a factory trimming the surface of cloth to produce an even surface. Budding joined forces with another engineer, John Ferrabee, and they began making lawn mowers from 1830. Until then, agricultural workers cut sports fields with scythes or kept the grass down with sheep. Lawn mowers created much neater grass surfaces, making games such as football, tennis and croquet easier to play. In 1839, Charles Goodyear invented a process to vulcanise rubber. This led to the production of pumped up rubber balls. These proved ideal for grass sports such as football and lawn tennis. 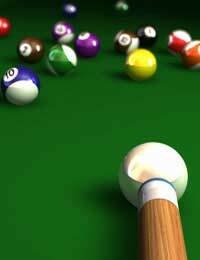 Billiards began life in the fifteenth century. It was a different sport to the one we know today because players hit the balls with flat-ended cues. A player’s control over a ball was therefore limited. While serving a term in prison, Captain François Mingaud spent much of his time playing billiards on a table in his cell. In 1807, he decided to improve the game by adding a rounded leather tip to his cue. This allowed him to put a spin on the ball, something that had previously been impossible. From this point on, billiards became a game of considerable skill. The golf ball has a long history. The first balls were wooden. The next ones were leather stuffed with feathers. After these came gutta-percha balls moulded from the sap of tropical trees. At the end of the nineteenth century, gutta-percha balls were in vogue. But when an American businessman Coburn Haskell was killing time and idly wound a bunch of rubber bands together, things changed. Haskell had dropped the bunch of rubber bands and noticed how well it bounced. Pursuing a hunch, he coated his rubber band ball with gutta-percha and used it for a game of golf. He discovered he could get more spin and distance compared to a standard gutta-percha ball. In 1902, the golfer Alexander Herd won the Open with Haskell’s new golf balls. Golf balls had changed again, and it’s Haskell’s design that golfers use today. There’s debate about the history of darts. Some believe the sport began when soldiers threw short arrows at the bottom of a wine or spirits barrel. Others say that the target was the cross-section of a tree. What’s not in dispute is that a Lancashire carpenter named Brian Gamlin first produced the standard dartboard in 1896. What set Gamlin’s board apart was the set of numbers he put on it from one to twenty. Before then, there had been various versions with numbers and a bullseye. But it was Gamlin’s dartboard that caught public interest, and it soon appeared in pubs across the country. These are a selection of the inventions that changed the nature of many sports. They serve as evidence that inventors have a role to play in every aspect of society.